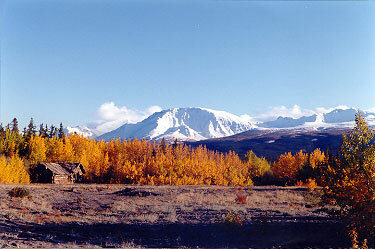 Near Kluane Lake with the St. Elias Mountains in the background, this is a very scenic location. Silver City was once a RCMP (Royal Canadian Mounted Police) camp. The only remains of the camp are seven old cabins, you can see one of them in this picture.